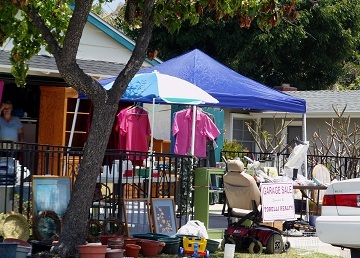 Costa Mesa CA real estate includes several different neighborhoods. Costa Mesa real estate company Torelli Realty is located in the Mesa Verde Costa Mesa neighborhood. Mesa Verde is neighborhood where home values remain strong. Typically families move to Mesa Verde for the large yards and family-friendly cul-de-sacs and neighborhood parks. Families live here, adult children return here – there is something special about Mesa Verde. This week we are prepping three new listings in Mesa Verde Costa Mesa. Homes in Mesa Verde tend to sell quickly when they are well priced and often receive multiple offers, which reinforces the strong competition to own a home here. -In the Mesa Verde State Streets (where all the streets are named after the states) – 3318 Wyoming. 3 bedroom/2 bath. Fantastic value! Pride of ownership shows because this fine Costa Mesa home is being sold by one of the neighborhood’s long time owners. Located on one of Mesa Verde’s cute cul de sacs. As an added bonus this home has high ceilings, new paint, walk in closet, and updated bathrooms. -In the Mesa Verde Inner Loop – On Pitcairn. 4 bedroom/2 bath. Close to the scenic Balearic Park. -In the Mesa Verde Tree Streets (where all the streets are named after trees) – a chardming ranch with plenty of green land for children to play on or to plan a beautful garden. 3 bedroom/2 bath. Central location. When these homes sell, it will be exciting to welcome the new homeowners to Mesa Verde – welcome to Costa Mesa! About Torelli Realty: Torelli Realty is proud to represent Costa Mesa real estate. 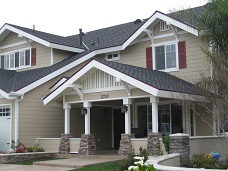 We’ve been meeting the needs of Costa Mesa home buyers & sellers since 1984. Torelli Realty deals with Costa Mesa homes, Costa Mesa rentals, Costa Mesa property management, and offers home improvement and home staging tips to help your home’s value throughout Costa Mesa and in Mesa Verde. We also have an expert on staff, Holly Schwartz, who came to us as a producer from Home and Garden Television (HGTV) and extensively studied the most effective home staging techniques, as well as home values and markets locally and nationally. Feel free to contact Torelli Realty for a consultation and for all your real estate needs. As Realtors, we need to prepare a house before it hits the real estate market. Why? Homes that make the best impression can sell for more money. One important thing to focus on is home décor and how to stage a home for sale. At our Costa Mesa real estate company we’ve seen how some minimal changes can make a huge impact. They’re ideas anyone can use whether they are selling a home or just looking for a change in style and they’re guaranteed to make a huge difference. 1. Match the inside look of the home to the exterior. 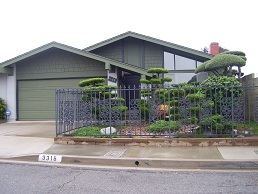 In Costa Mesa there are many traditional ranch style homes. Traditional homes should have traditional pieces and décor. It’s not cohesive to have an ultra modern, minimalist style in a traditional looking home. In this craftsman style home, a traditional décor with craftsman details would work perfectly. 2. In general, the kitchen is the most popular and most-trafficked room in the home. How can you set the stage in the kitchen? First, remove as many items from the counters as possible. Next, set out a large bowl of brightly colored fruits. Another good idea is to set out a couple of fun cookbooks on the counter, or even display one in a holder. When a house is being shown to prospective buyers or guests are coming over, these simple strategies can really enhance any kitchen. 3. Fill your built-ins with care. Buyers love built-ins because they are an instant display case that can showcase nicely if done right. Unfortunately, many built-ins make a bad impression because they are stuffed with excessive clutter like books and knick-knacks. If you are selling your home, it’s a good idea to remove family photos because it’s difficult for buyers to envision themselves living there with reminders of your family all over the place. Simple decorations like candles, small floral arrangements, and just a few nicely arranged decorations can showcase well and highlight the built-ins. These simple tips can help improve some of the main areas of your home. Every Costa Mesa home that we list for sale is evaluated by our Realtors before they hit the market so that home sellers receive expert home staging advice to optimize their home. Small fixes can equal big bucks so it’s an important step in helping our sellers get the best price for their home. Watch our video of the Costa Mesa Community Run & Expo! We’re so proud of Costa Mesa, California! Here is a video/slideshow of some of the highlights of the Costa Mesa Community Run & Expo that took place April 24-25, 2010. Congratulations to all and a special thank you to the surf band The Fabulous Nomads for letting us use their original music in the video.